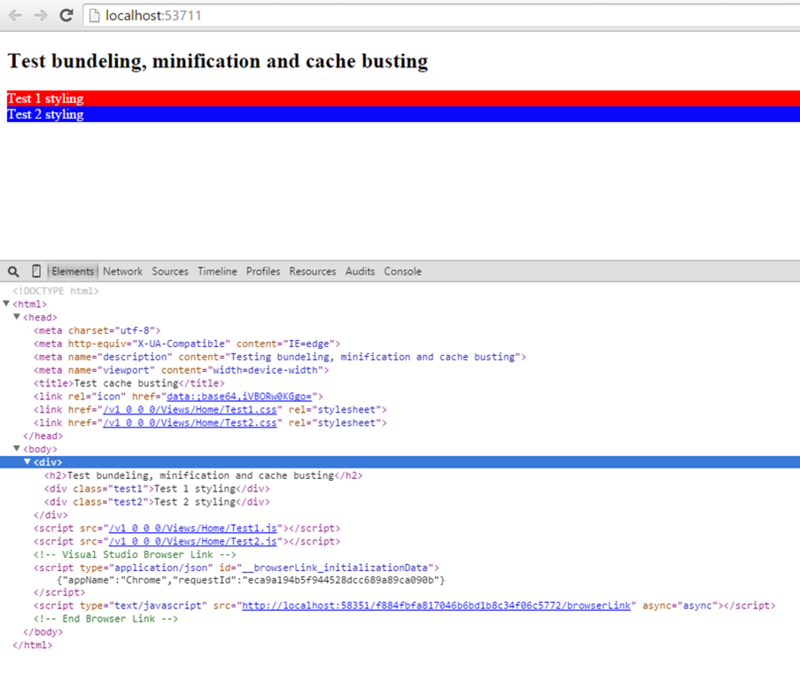 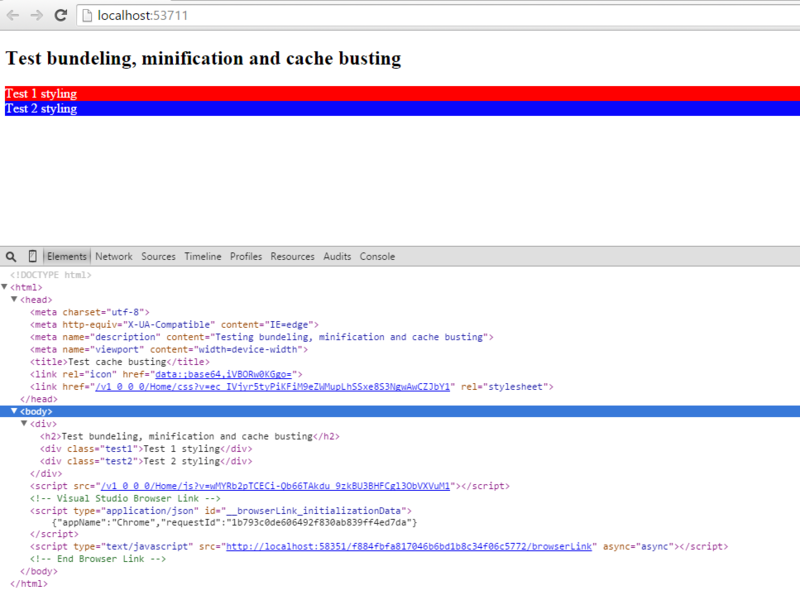 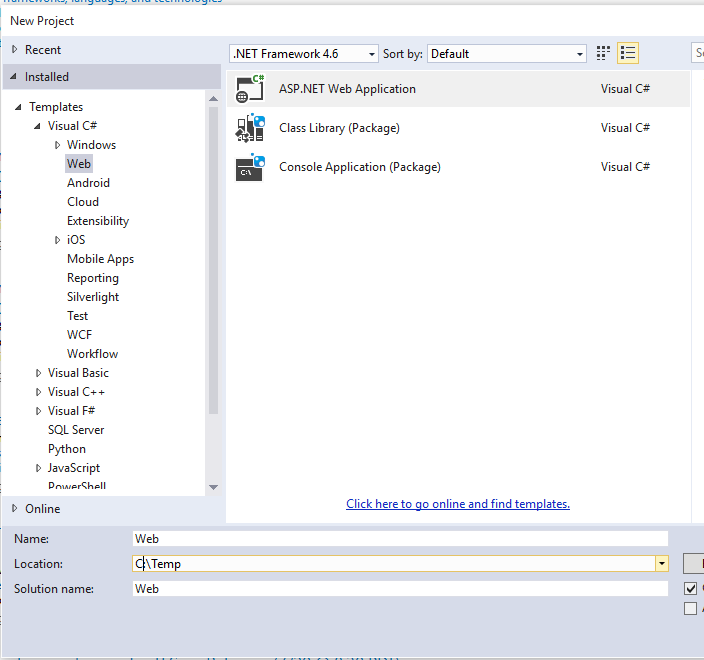 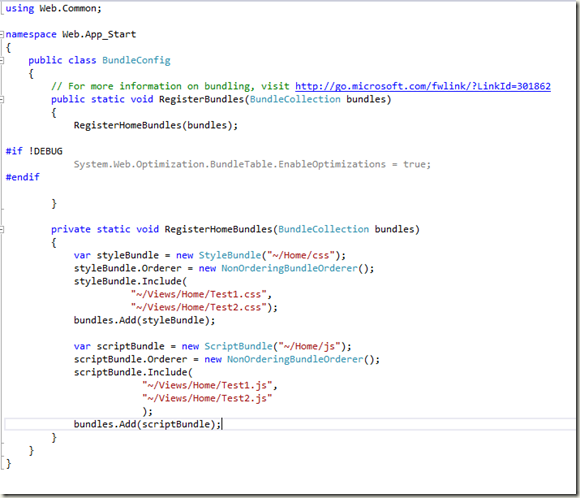 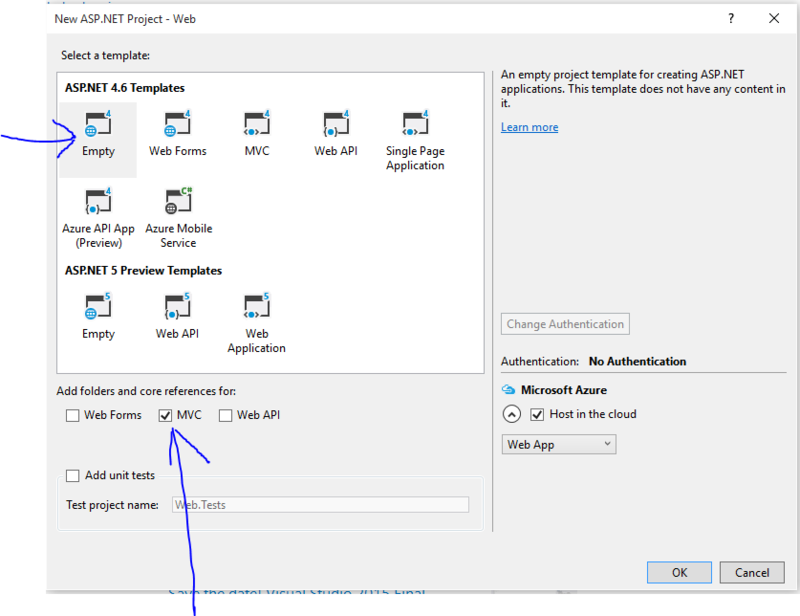 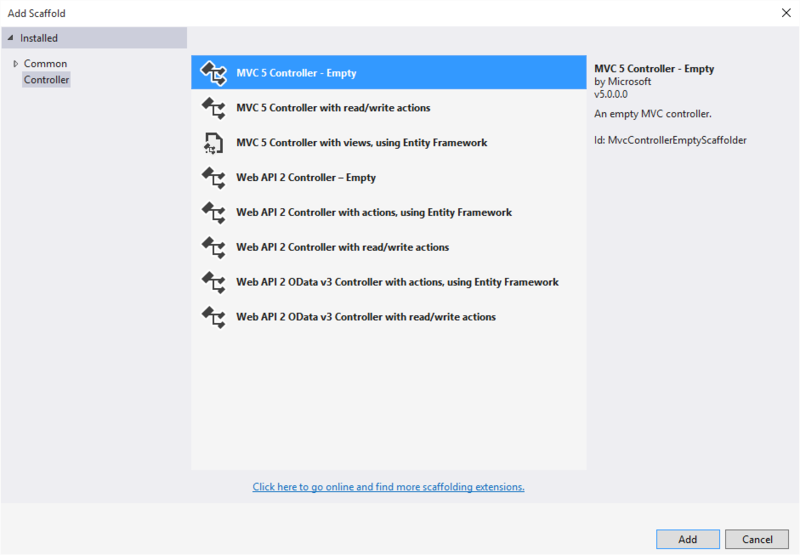 In this I will describe how to create an MVC .NET 4.6 web application, that uses bundeling, minification and fingerprinting for cache busting all by using the System.Web.Optimization framework. 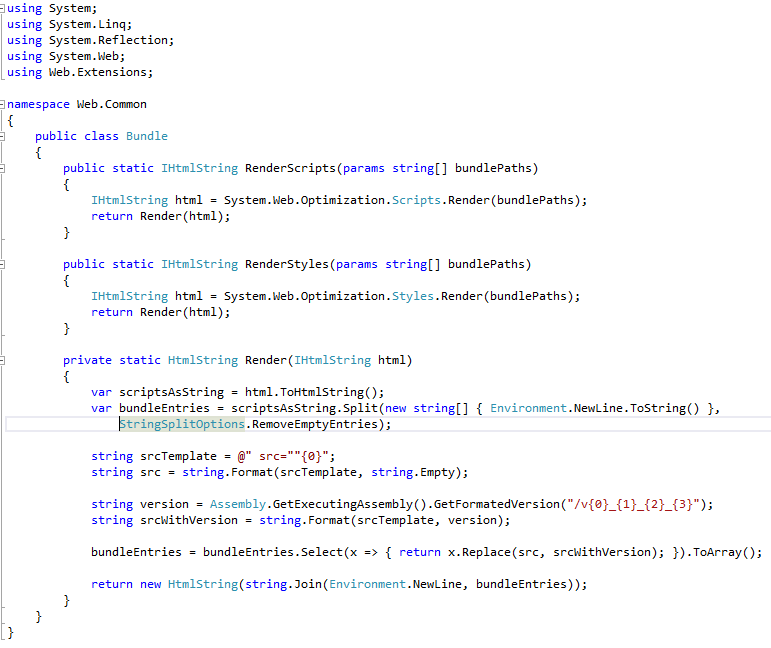 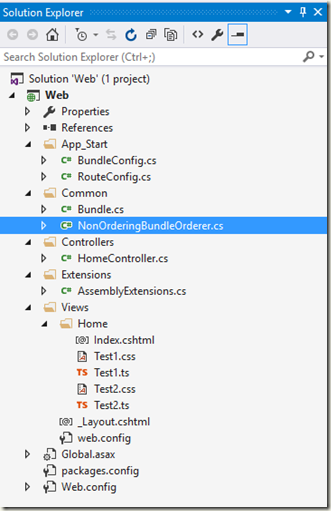 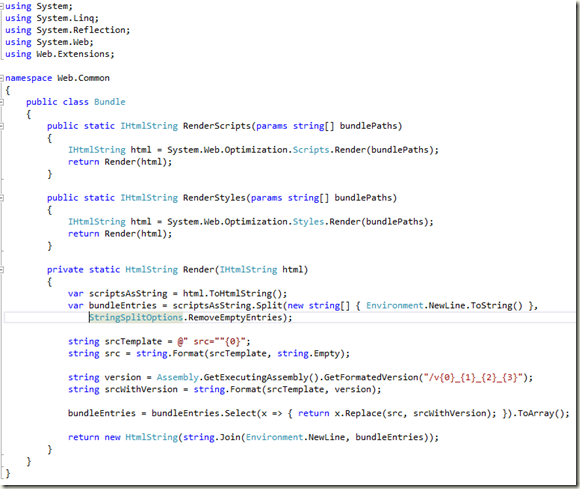 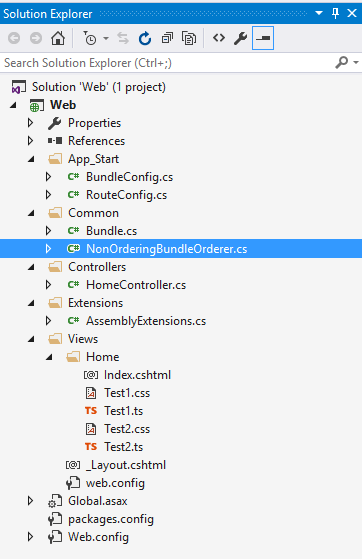 Add a NonOrderingBundleOrderer.cs class to the “/Common” folder. 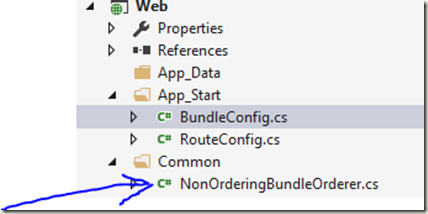 This class will prevent automatic ordering of the files inside the bundle. 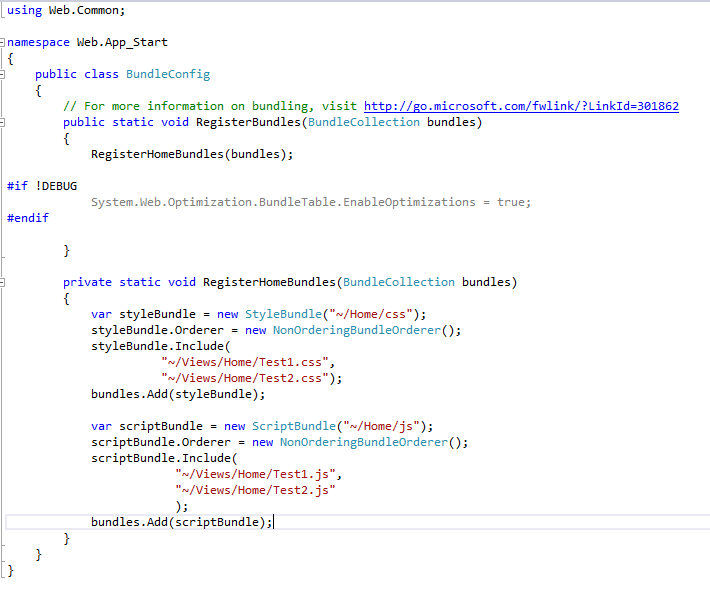 The files will be placed in the html in the order they are added to the bundle. 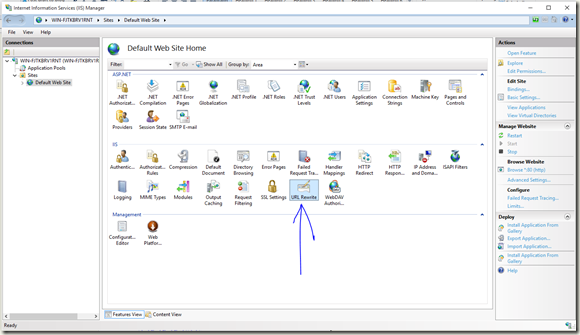 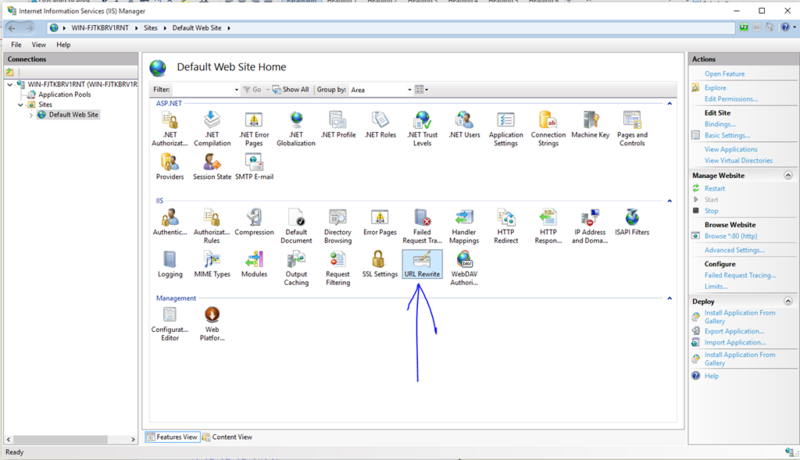 To start using Url Rewriting, first install the URL from http://www.iis.net/downloads/microsoft/url-rewrite or from the web platform installer inside IIS. 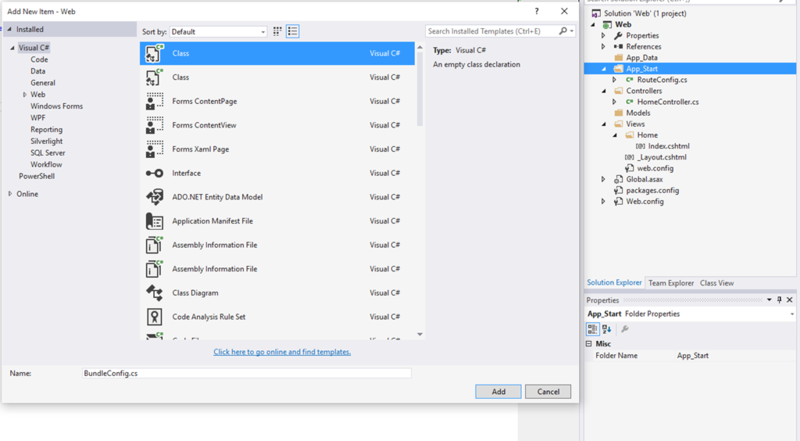 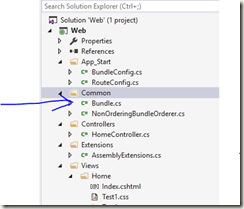 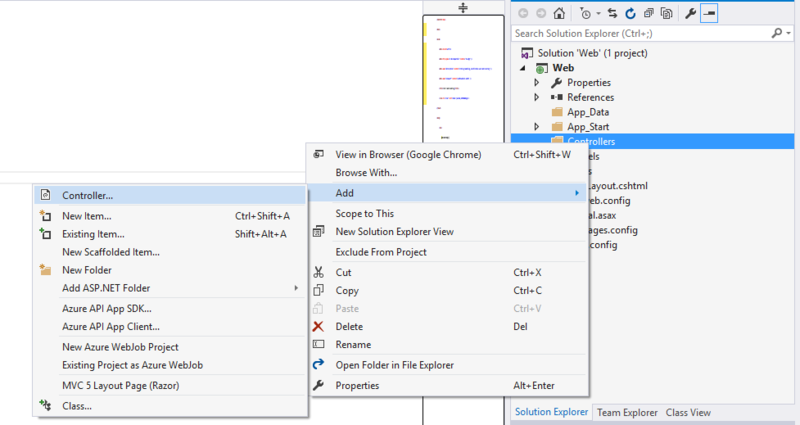 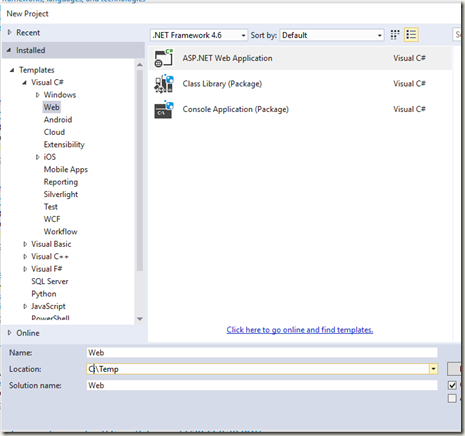 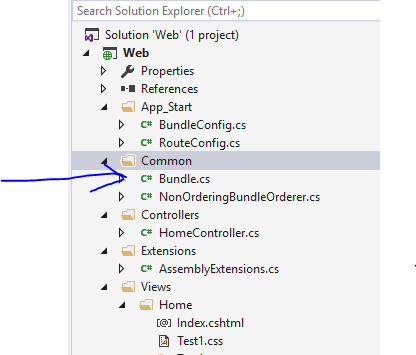 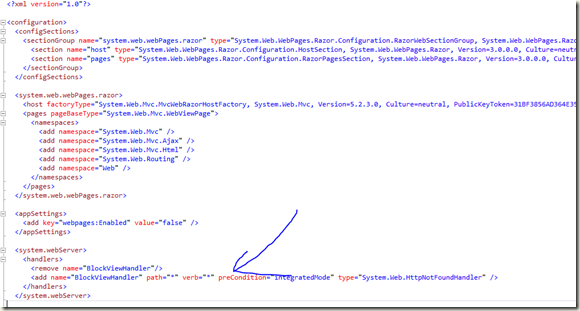 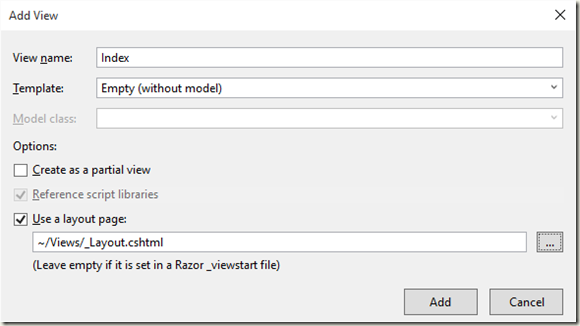 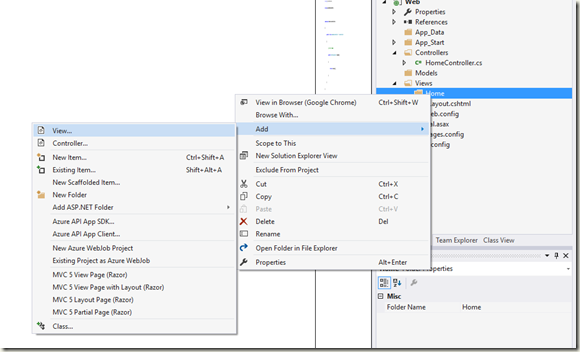 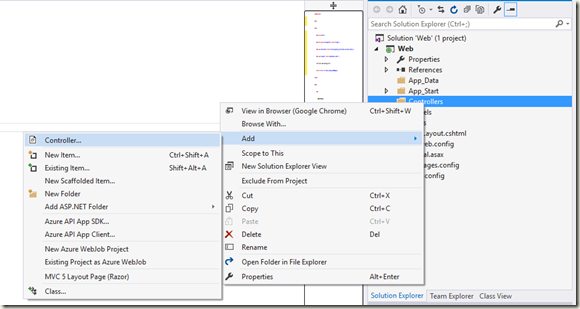 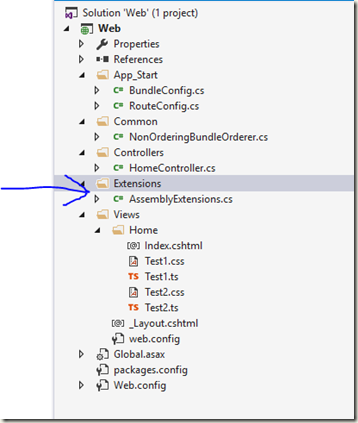 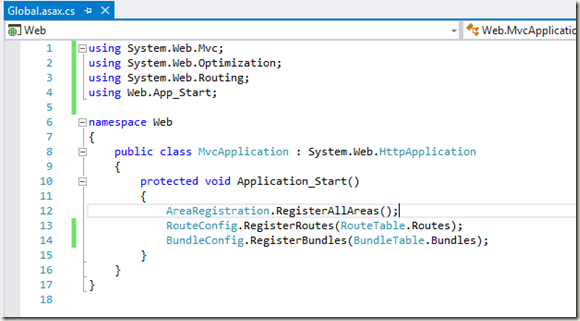 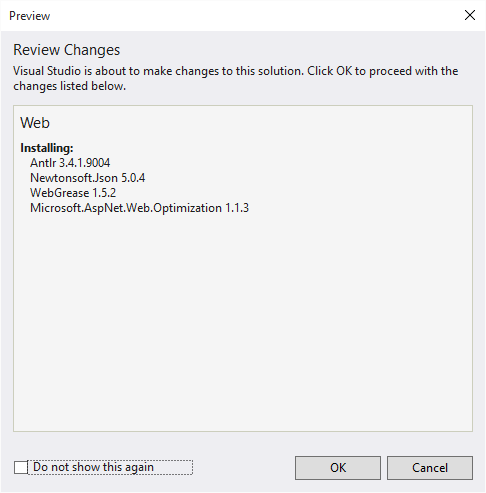 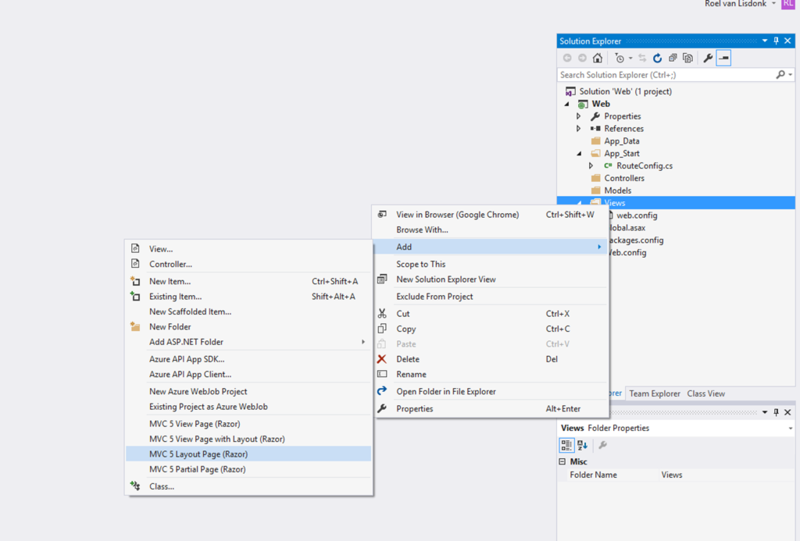 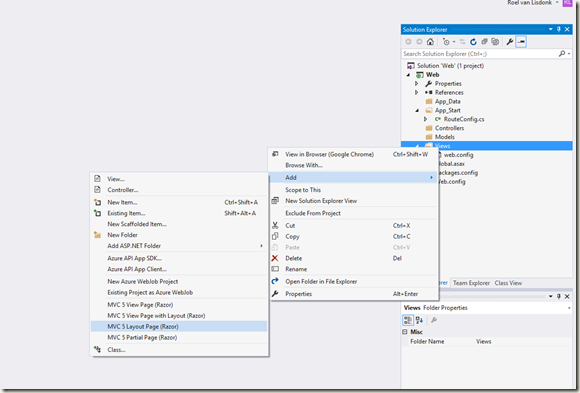 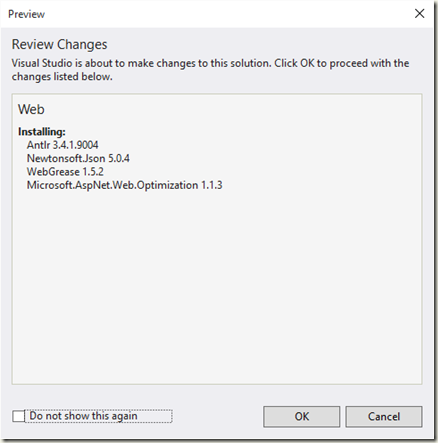 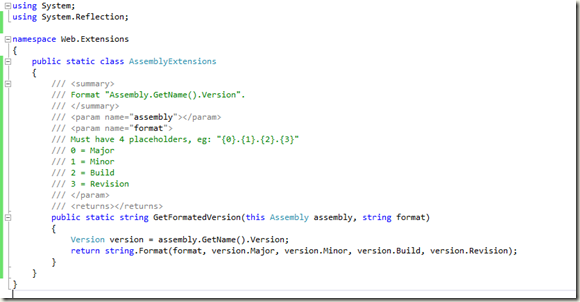 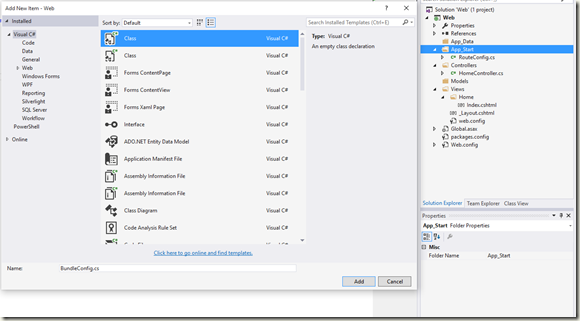 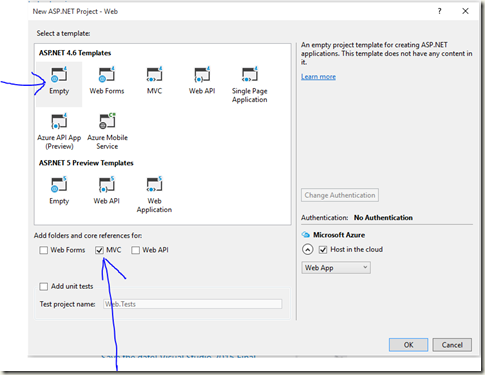 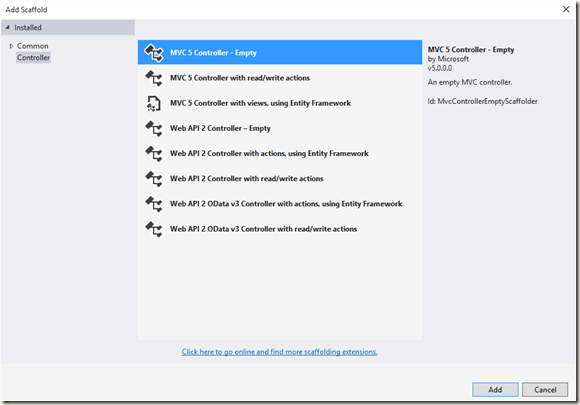 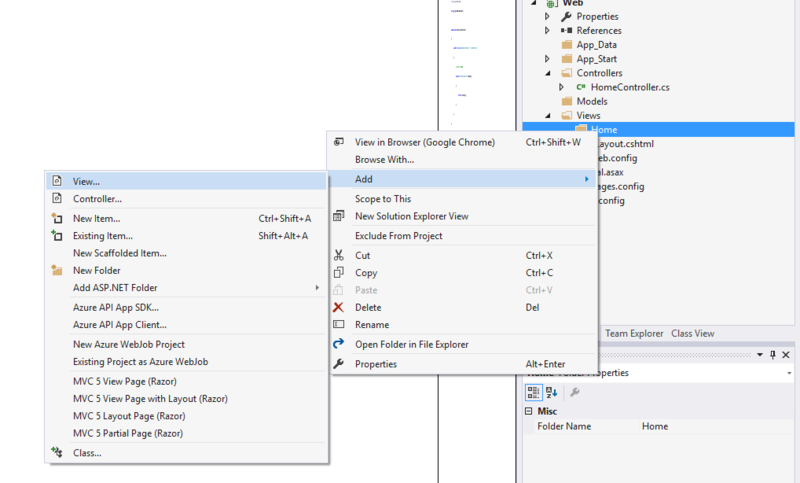 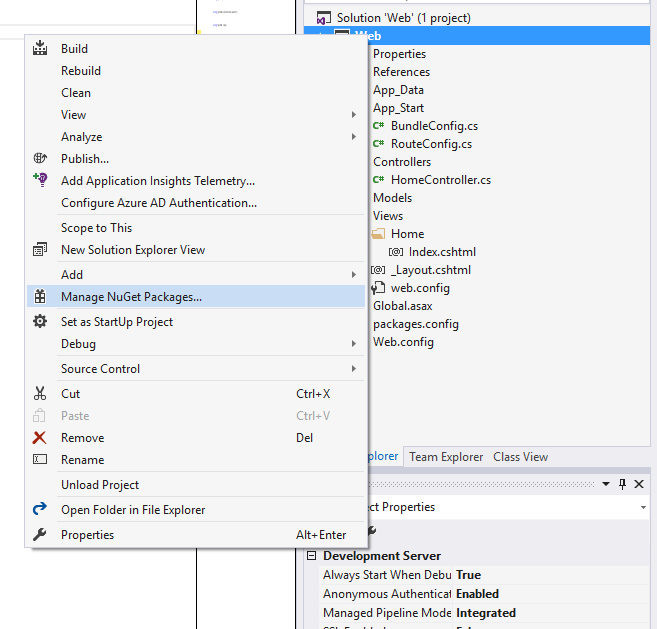 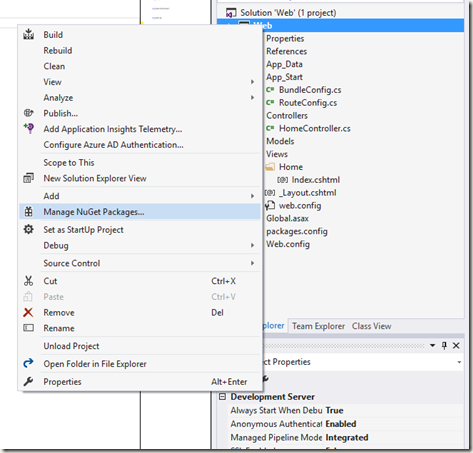 Note that URL Rewriting will work out of the box with IIS Express in Visual Studio 2015. 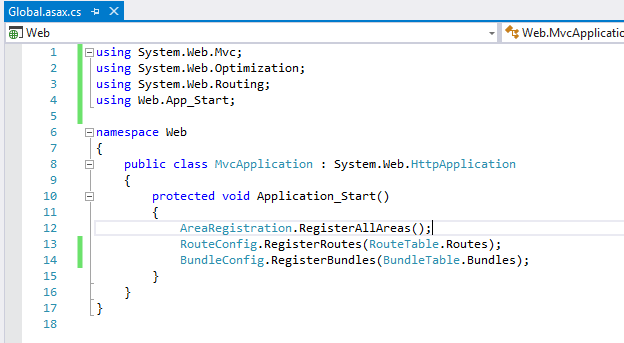 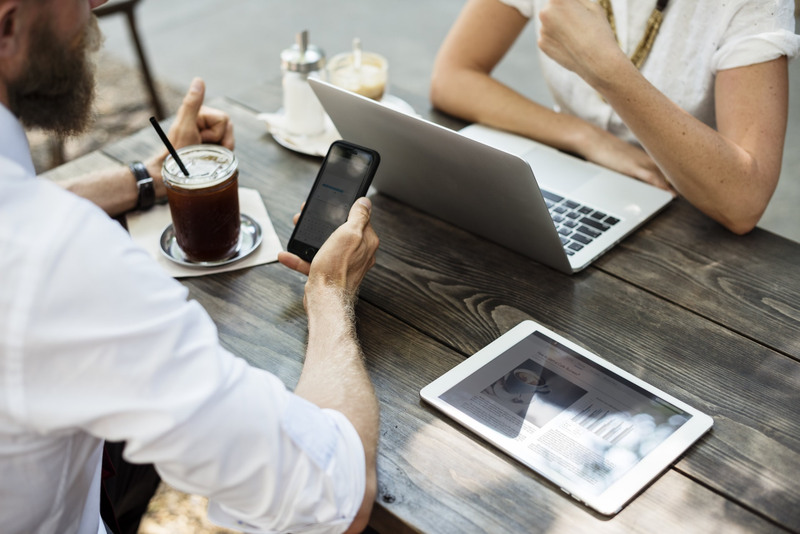 All url’s that start with vx.x.x.x/ will be rewritten (the version number will be removed from the URL before passing it to the reset of ASP .NET. 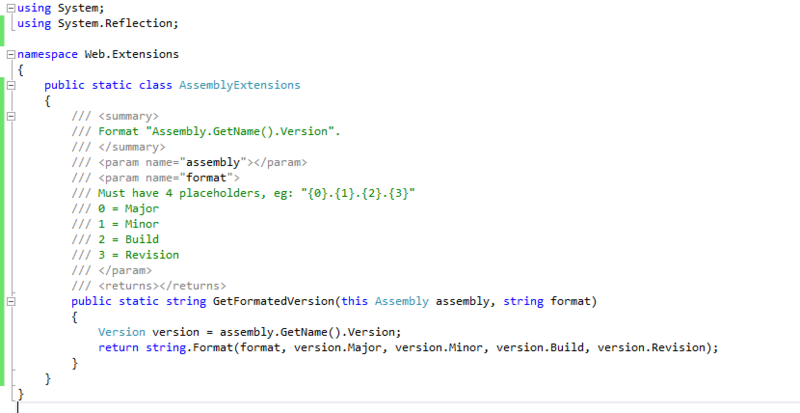 Only the part after the first “/” will be presented to the “match” rule. 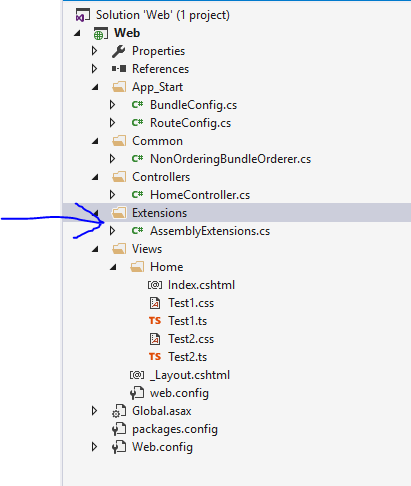 So only the part “v1.0.0.0/View/Home/Test1.js” of the url http://localhost:4567/v1.0.0.0/View/Home/Test1.js will be passed to the match rule, that’s why the regex can start with a “^”. 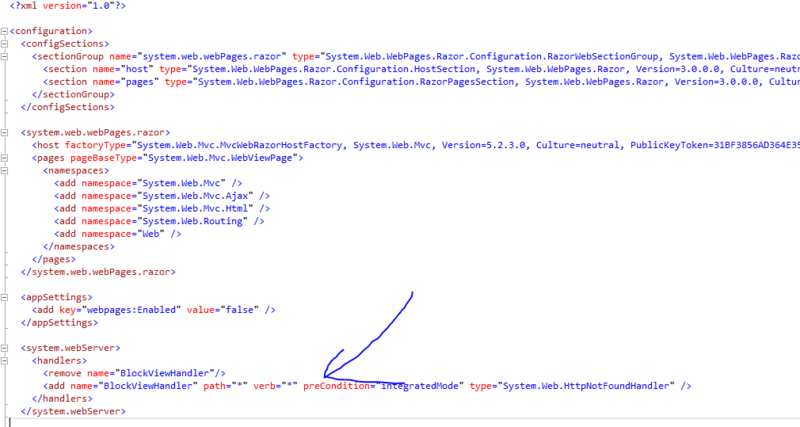 As you can see the System.Web.Optimization framework automatically adds a “cache busting query parameter”, but in some browsers this is not enough, that’s why we added a version number inside the “folder” part of the url. If you use “URLs” inside a CSS file, that is added to a bundle, e.g. 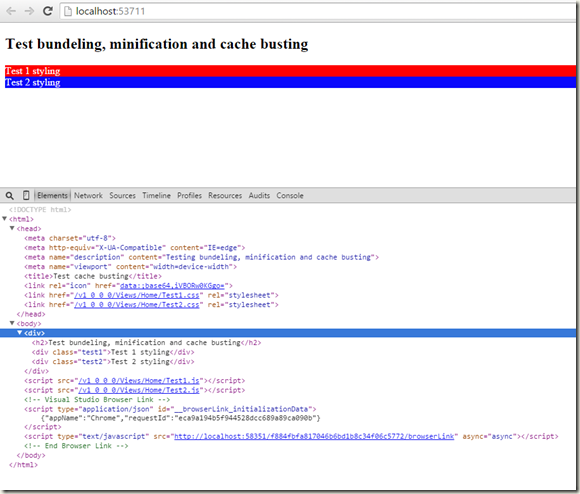 Then these URLs should also be fingerprinted. 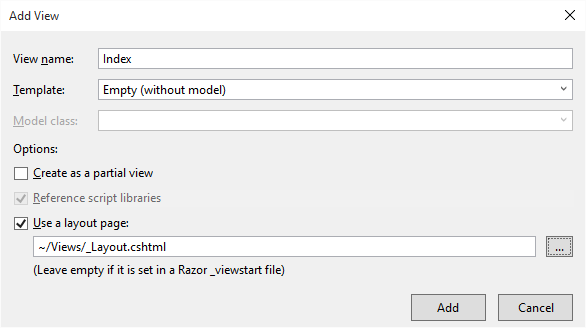 This extension to the System.Web.Optimization framework, supports automatic transformation of relative paths to absolute paths in CSS-code (by using UrlRewritingCssPostProcessor).